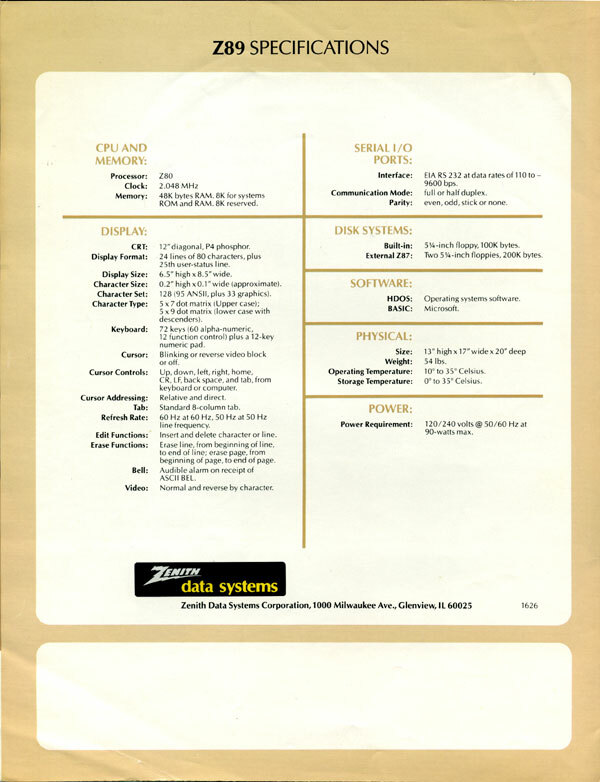 Zenith spent some serious money on these 8 1/2" x 11" full-color brochures. 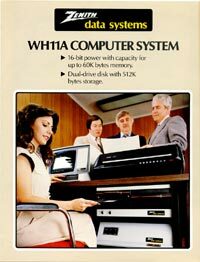 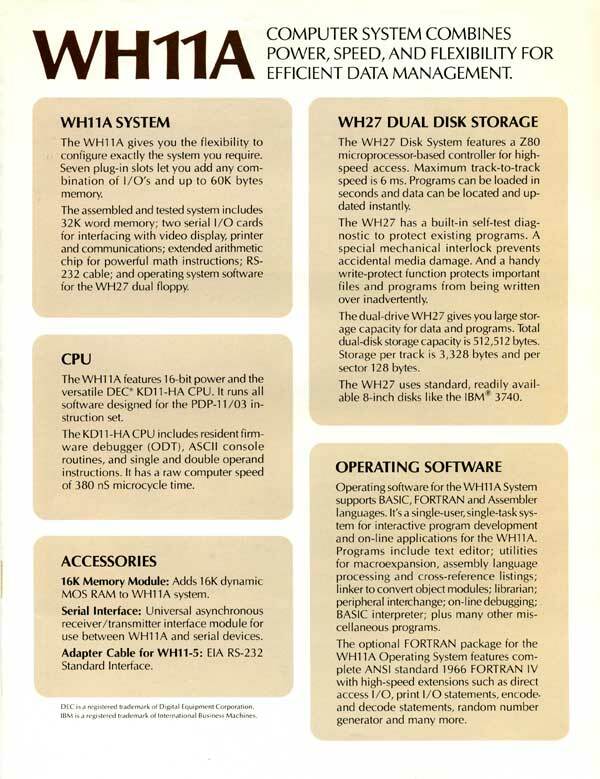 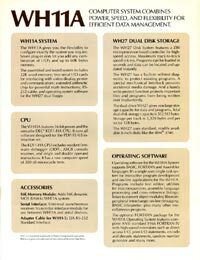 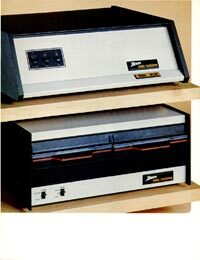 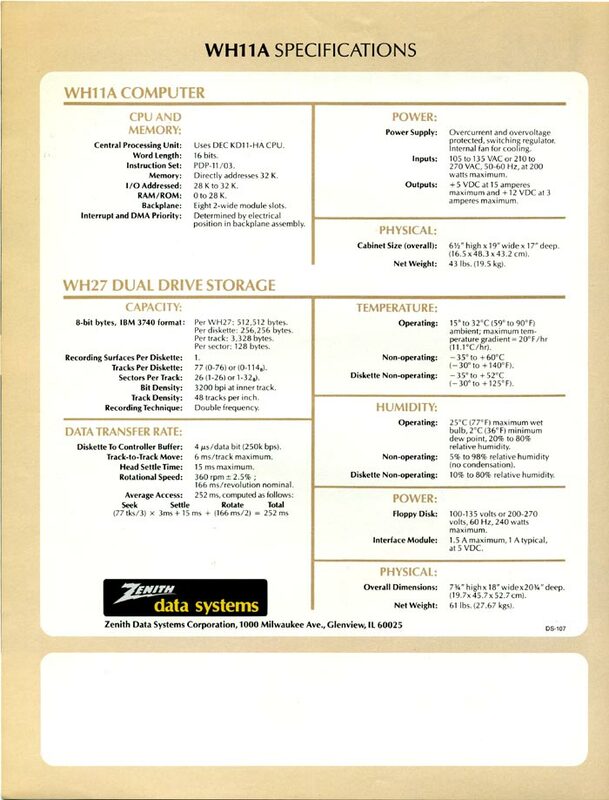 Brochure for the Zenith WH11A computer system. Check out the guy in the middle who looks like Captain Kangaroo. 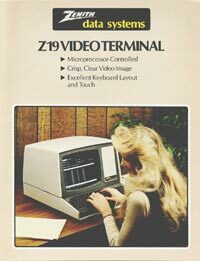 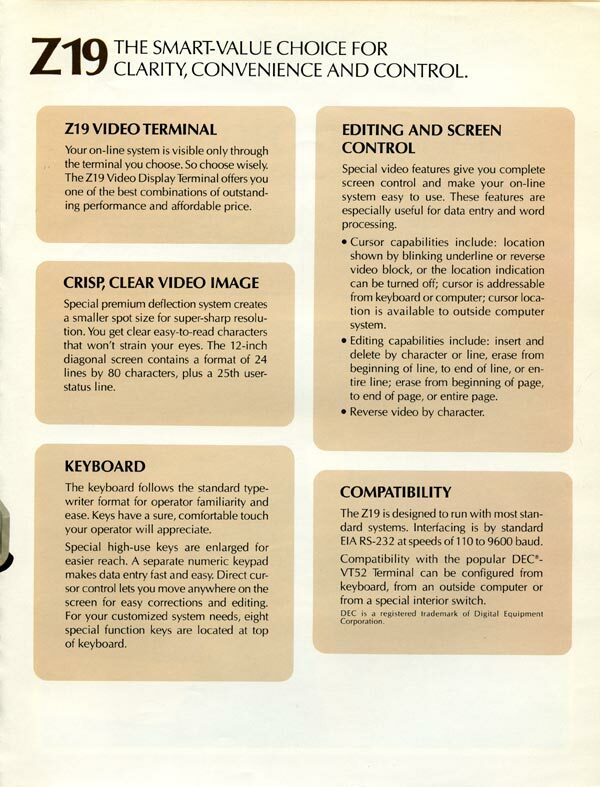 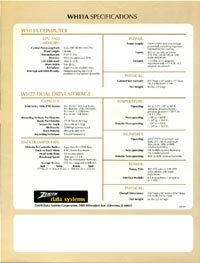 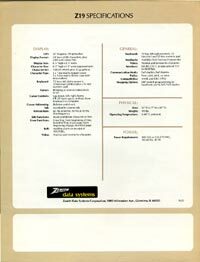 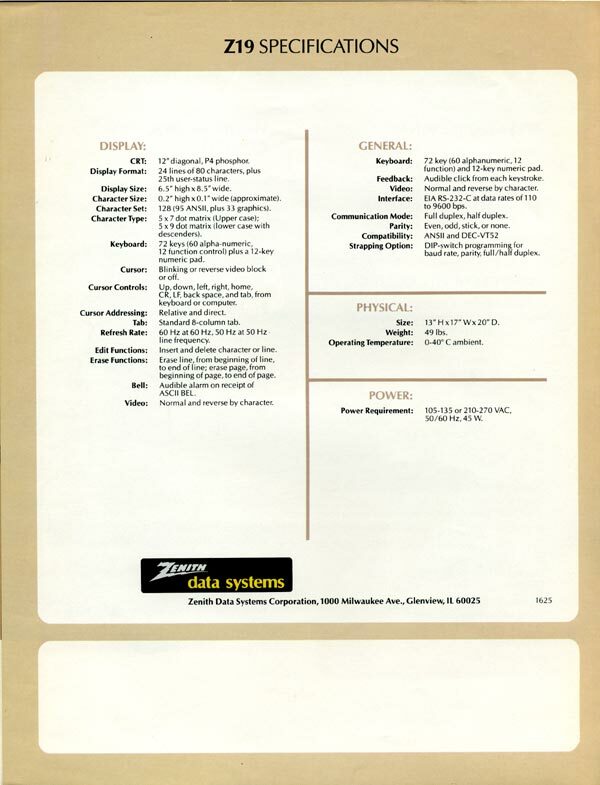 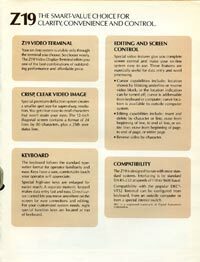 Brochure for the Zenith Z19 video terminal. 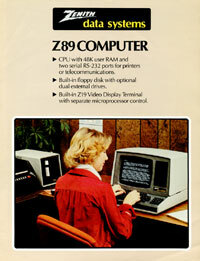 Dig the feathered "Farrah" hair. 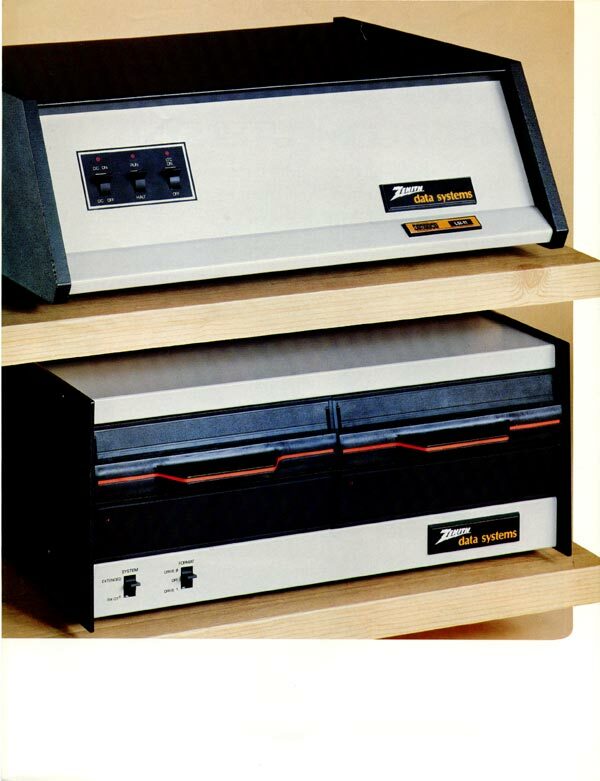 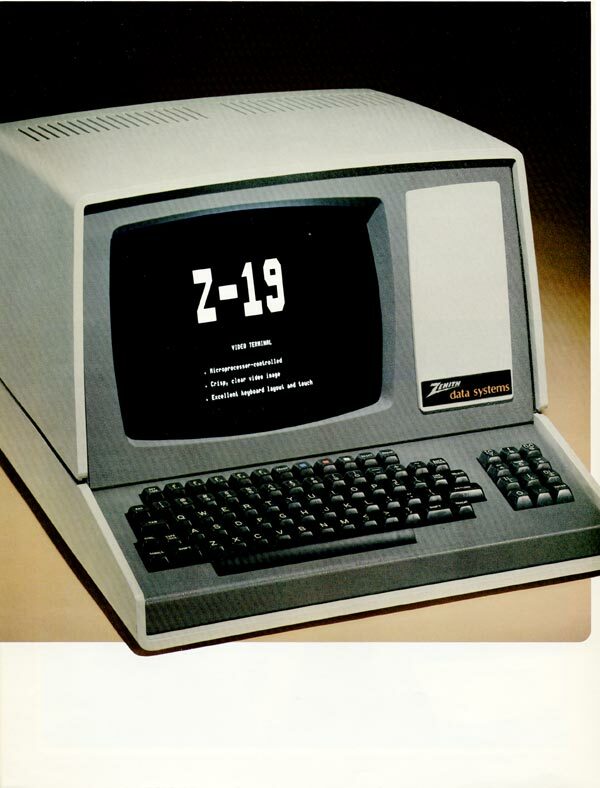 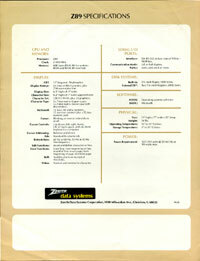 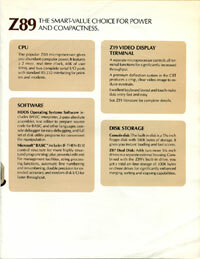 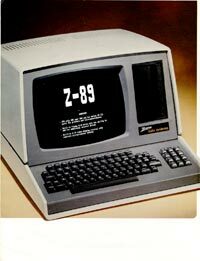 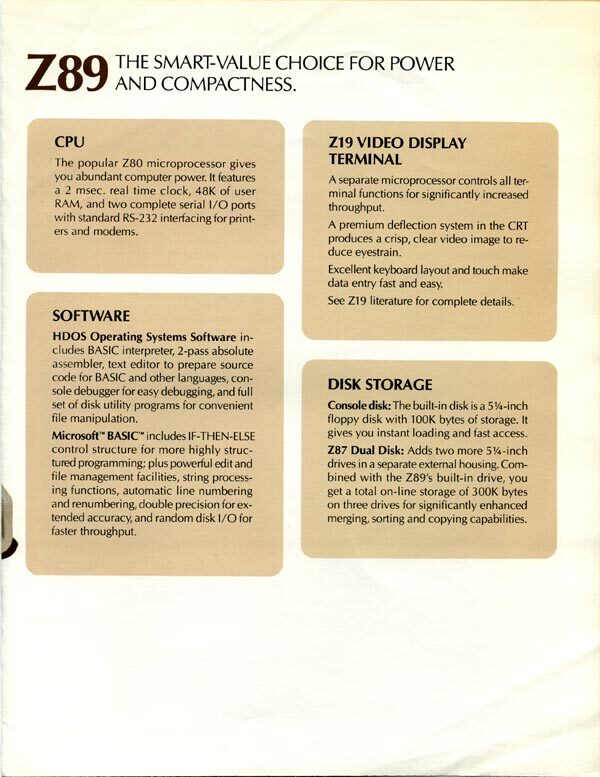 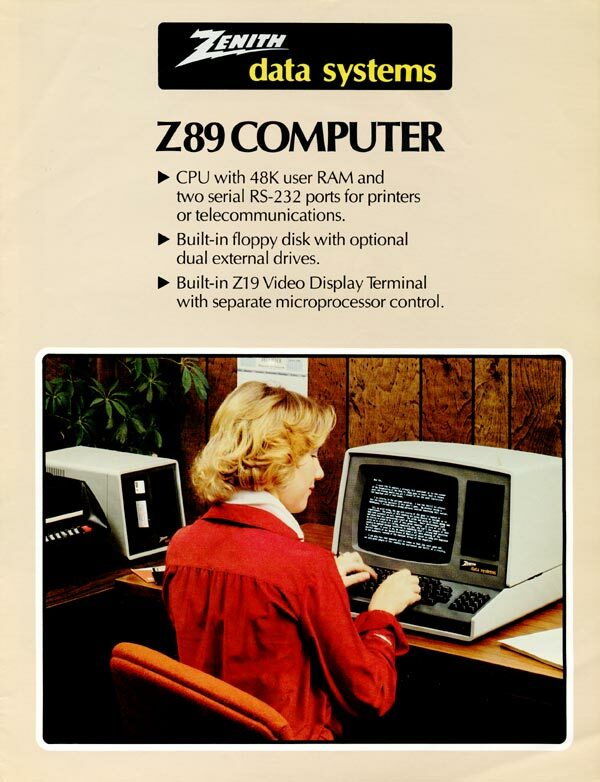 Brochure for the Zenith Z89 computer.